Maurice has been so conflicted since we got home. She shows us that she wants love, love, all-you-need-is-love but then she grabs and bites us or simply scratches us as we walk by her, reaching out with her claws to bring us closer so that we'll either pet her or she can take our hands off to bloody stumps. She was born under a bad sign, I do believe. Possibly the sign that says, "Only Household Garbage" down at the dump. But you know I love her. She knows it too but she just can't feel it all the way to her heart. We all know how that goes. Anyway, my Lily's kids came over today so that Lily could go get that crown and then have a grown-up peaceful lunch with her brother. The children and I had a pretty exciting and wild time of it. I made them another treasure hunt with clues that led them through the house to the record player where a pack of snack crackers was stashed. We also read some books in order to cross a few more squares off their summer reading list. One of the books was "a joke or riddle book" and so we read Bennet Cerf's Book Of Laughs which is very outdated and only mildly funny but the pictures are great. 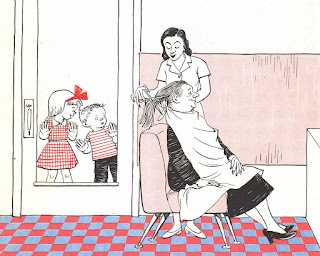 In this particular joke, the little girl is telling the little boy that her grandmother is getting her hair cut so that she won't look like an old lady anymore. The next picture shows her with short hair and the little boy says, "You're right! Now she looks like an old man!" 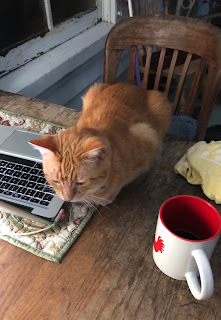 Owen, however, finally got the way it works. "Marvin is so literal," he said. He was right. We agreed that it was like the little boy was Amelia Bedelia's child. When lunch time rolled around, I made them a menu. Tortilla chips and a choice of juice came with each entree. I got two orders for hot dogs and one order for cheese toast. 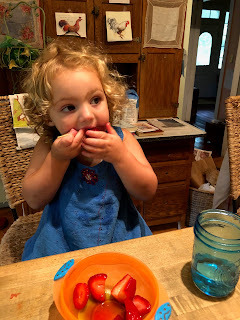 Maggie also ate some strawberries. I swear, this child just keeps getting prettier and prettier. And sassy? Oh yeah. Sweet? Sweeter than any ripe summer berry you ever tasted. Her brothers wanted to play Wii. I let them. It was raining outside so why not? Look at that hair! They were tandem bike racing and roaring with laughter. So that went very well and then I had to go to Publix and somehow in the midst of all of this I've managed to do three loads of laundry including one load of sheets and pillowcases and have made up the bed (Maggie helped) and also fooled around with my new hobby which is trying to clean out the ten dollar Krups espresso maker I bought at the Methodist thrift store in Roseland. 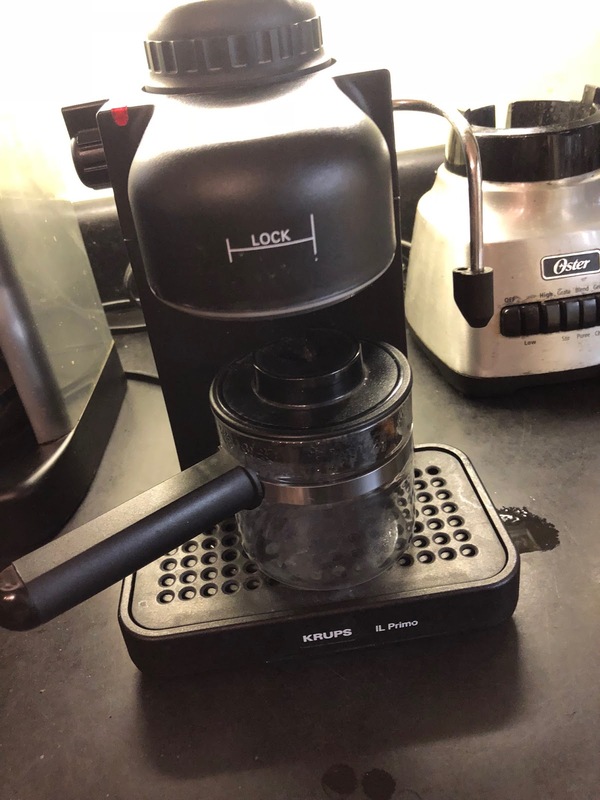 It was exactly what I've been looking for and I could not believe my good fortune but I neglected to inspect it very carefully before I bought it and when I unscrewed the top where you put the water in I realized that someone who had no clue had poured milk through it, misunderstanding the purpose of the machine, I guess. The instruction manual came with the thing which just goes to show that we don't read instruction manuals and sometimes we should. So I've been running vinegar and water through it for three days now, pretty much constantly, and I think we're about there with it. At least everything seems unclogged and working and I'm getting very little residue now. What an exciting life I lead! One more thing. 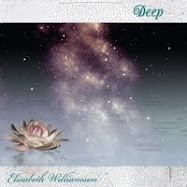 I just finished listening to an audio version of this book. 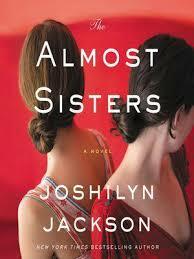 Joshilyn Jackson is honestly a fine writer even though I am sure that her books are described as Southern Chick Lit. 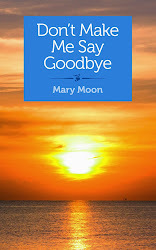 This book dealt with a whole lot of issues with a great deal of insight and thought and sensitivity and it avoided stereotypes even as it explored many of the behaviors which do engender those stereotypes. It ain't Great Literature but it's not bad at all and it's very easy to read and it's not exactly what you'd expect and I really enjoyed it. The audio version was splendid. Ms. Jackson narrated it herself and she has wonderful reading voice and when you hear it read by the author, you damn well know you're getting all of the correct inflections of meaning. That's it, I guess. Let's see what happens tomorrow. Good Lord willing and the creek don't rise, I'll be here. Wii is so much fun. I miss mine. The bike rides are hilarious. Excellent exercise that doesn’t feel like exercise. 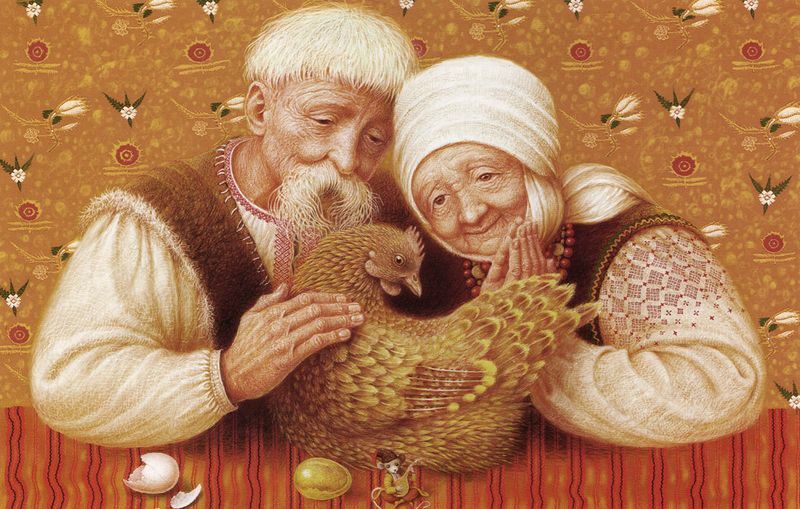 I used to make menus for my grands, too. Our daughter's kids were into cheese cauliflower, fresh veggies and ranch dressing, and roasted green beans. Our son's kids liked build-your-own pizzas and fried hot dogs. But when I'd put a menu out they thought it was the coolest thing! Glad that you reminded me to shift the laundry from washer to dryer, I had forgotten. The menu is deeevine! Pimento cheese please! I was just about to say keep running it with vinegar when I read further and that is exactly what you are doing. Great minds think alike, eh? Love Maurice, love Lily’s kids, love the coffee pot, love that you’re reading, love you. I think I need read that book. As you know, I'm in Hilton Head this week with my family. another day in the life of Ms Moon. 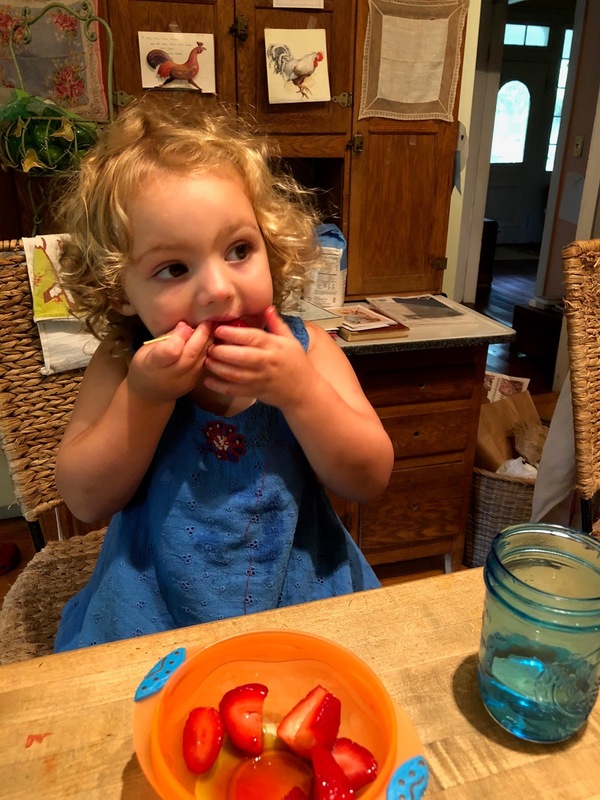 grandkids, food, and love. A menu is a lovely idea, then they get to choose. I'll have to check out the book. Sometimes I like hard books and sometimes I like relaxing books. Depends on my mood. We're still baking here, not compared to Florida I'm sure but way to hot for us. And no rain. I'm watering in an effort to keep my perennials going. 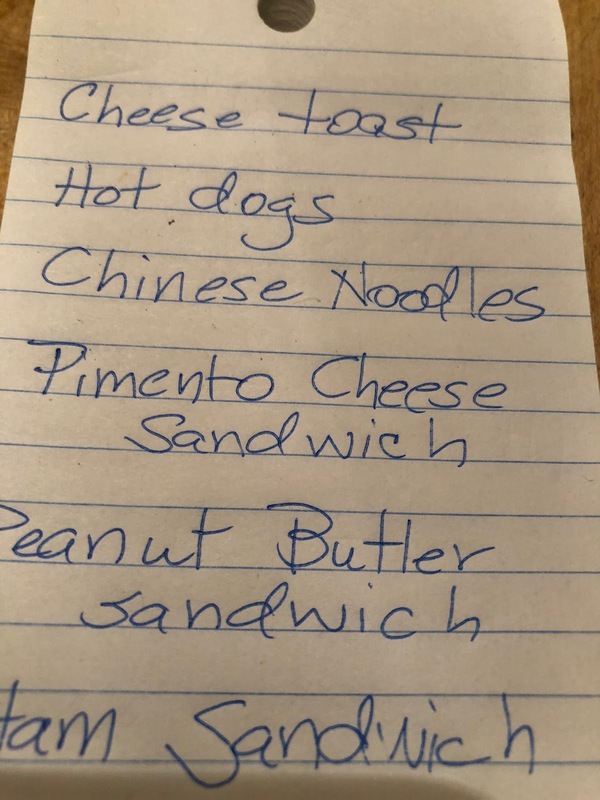 I would have gone for the pimento and cheese, personally, because I haven't had one of those sandwiches in FOREVER and my grandmother used to make them. I don't even know if we can get pimento in England. 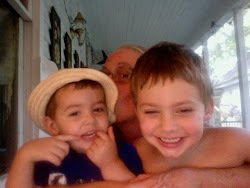 Sounds like you had a great day with the grands! And points for persistence in rehabilitating the Krups! Pimento cheese sandwiches, yum! You know, the Wii is not a bad way for kids to entertain themselves because it requires them to be very active while playing. Exercise is good, right? 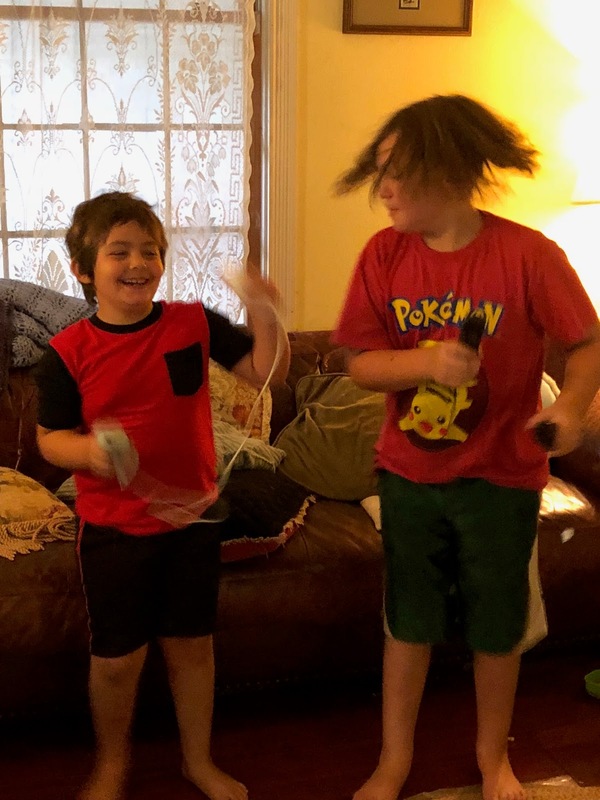 Some of our fave family times when my kids were growing up was all of us playing Wii games together.